What is Automated Web Governance? Web governance is how an organization maintains and manages its web presence. It includes the people, systems, policies, and procedures involved with this work. It used to be a manual job – today, web governance can largely be automated. This post outlines how. The traditional company website is no longer the sole point of digital contact between you and your customers and stakeholders. Social media business profiles and mobile apps are just a few examples of the platforms where users expect you to be present. In other words, not only does your organization have to be digitally omnipresent, you also have to do a good job at it. These requirements would put pressure on any web team, and without automation, it would be a near impossible task. Luckily, the following aspects of web governance can be automated. As a web manager or editor, you are probably well aware of the importance of Search Engine Optimization for making your website visible and findable. SEO is still largely a manual job in the sense that it is up to you to produce the search rank-boosting content. However, SEO-tools will automatically check whether your pages live up to SEO best practices and give you tips on how to fix any shortcomings. Website management is an ongoing task and you can continuously work to improve the user experience. A web analytics tool will automatically gather data about how your visitors navigate and use your website. 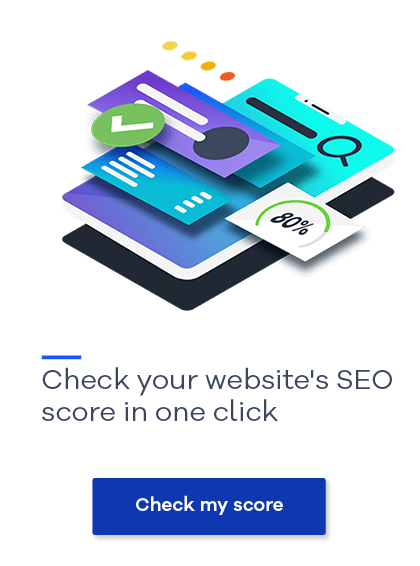 You can also receive automatically generated reports on how different sections or specific pages of your site are performing which can help you track whether your website is meeting your business goals. Download Web Guide: 17 Killers of Your SEO Efforts - and How to Fix Them. To gain even more insights about your visitors, you can pair your web analytics with an automated feedback tool. Instead of manually setting up surveys, a feedback interface will automatically show to your visitors and let them answer questions about their experience, e.g. whether they found the information they were looking for. Download E-Book: Web Analytics - Where to Begin? When it comes to website optimization, it is crucial to understand that your visitors are different. Web accessibility ensures that your site is usable by everyone, regardless of visitors’ level of digital skills and regardless of any disabilities. As with your SEO-efforts, working with web accessibility is very much a hands-on job. However, the process of checking your site against the more than 30 accessibility criteria can be done automatically with an accessibility checker tool. Download E-Book: The Must-Have Accessibility Handbook. Fortunately, monitoring your website for downtime or security breaches does not have to be done manually. A good monitoring service will check your website 24/7 and send you automatic alerts whenever your site is down or is being compromised. This way, you will be aware of the issue before your visitors, and you can act accordingly. Would you ever publish a leaflet with misspellings and misleading information? There is no reason why you should not apply this high standard to your website’s content as well. Your word processor has an automatic spellchecker and so should your web management solution. Besides spelling, you can also run an automatic link checker on your content, to be made aware of any broken or harmful links on your website. All of the automated solutions mentioned in this post are useless if they are not resulting in informed decisions and actions in your web team. Automated reporting tools can direct specific website issues to the person responsible. For example, a report on a broken link will be send to your web editor, a report on accessibility violations will be send to your web developer, and so forth. For more details on the roles and responsibilities in your web team, please consult this guide. Automated governance is a time-efficient way of making sure your business’ website aligns with your overall strategy. 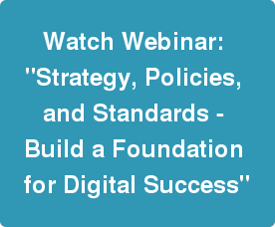 To dig even deeper into the foundation for digital success, we suggest you watch our on-demand webinar “Strategy, Policies and Standards”. Blog post: "Web Governance Roles and Responsibilities."